Gwendolyn’s practice in real estate law focuses on litigating landlord-tenant disputes, particularly, representing residential and commercial landlords of all sizes. She spends the majority of her time in court prosecuting and defending cases on behalf of large property management companies, medium to small business owners, and individual home owners. She competently and aggressively leads clients through the entire litigation process. Gwendolyn has also honed a specialty in resolving housing disputes for condominium and cooperative housing associations. Outside of the courtroom, she dedicates considerable time to the transactional sphere, which includes lease drafting, non-disclosure agreements, and confidential settlements outside of court. Gwendolyn frequently conducts presentations on the nuances in landlord-tenant law across the three local jurisdictions (VA, MD, DC) and best practices for landlords to avoid a Fair Housing complaint. Presenter at D.C. Landlord-Tenant Seminar, November 11, 2017, Washington D.C. 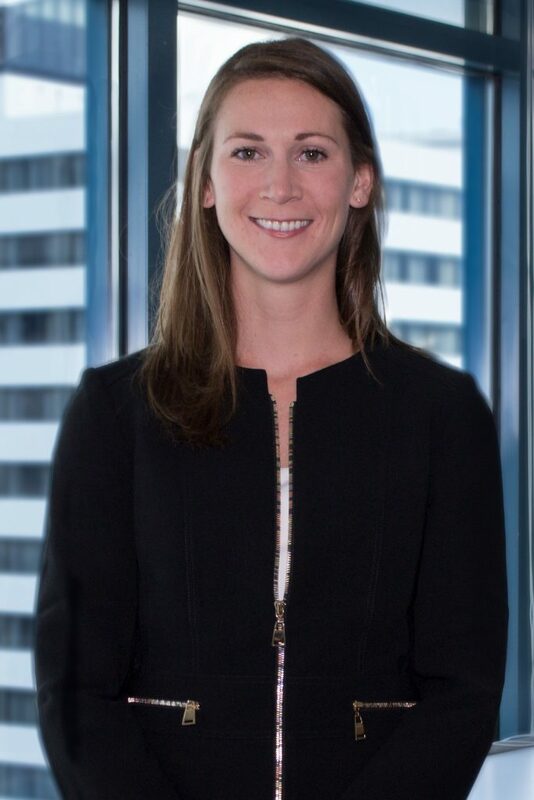 Prior to joining Offit Kurman, Gwendolyn worked for a long-standing real estate law firm in Arlington, Virginia, representing individual and corporate landlords in court in Virginia, Maryland, and D.C.
"The litigation process in general can be deeply frustrating; but, it is particularly unique in the real estate realm where a myriad of factors outside the black letter of the law are at play. Clients turn to me to guide them through the process with fierce determination, a mindset for expedient resolution, and the grace and patience to handle any hurdles along the way."